North Carolina Gov. Pat McCrory admits defeat. The party is over for Pat McCrory. McCrory’s concession was not at all inevitable. Although he faced a deficit of more than 4,000 votes the morning after Election Day—a gap that has since grown to more than 10,000—he insisted that he might be the rightful winner. For weeks, McCrory alleged that rampant voter fraud swung the election to Cooper, launching a series of baseless challenges at county election boards in an effort to disqualify as many votes for Cooper as possible. Eventually, the Republican-controlled state election board ordered a recount in Democrat-heavy Durham County. By Monday morning, it was clear that the recount would not close McCrory’s deficit, likely spurring the governor to concede formally. Lingering in the background of McCrory’s incessant voter fraud allegations was the possibility of a de facto legislative coup. North Carolina law allows the Legislature to choose the winner of a governor’s race when “a contest arises” as to “the conduct or results of the election.” Its decision, according to the relevant statute, is “not reviewable” by the courts. Thus, McCrory could have declared that rampant fraud (for which there was no evidence) cast doubt on Cooper’s victory, and allowed the Republican-dominated Legislature to declare McCrory to be the true winner. It would have effectively marked the end of democracy in the state. And it was completely within the realm of possibility. Luckily, that option is now off the table. 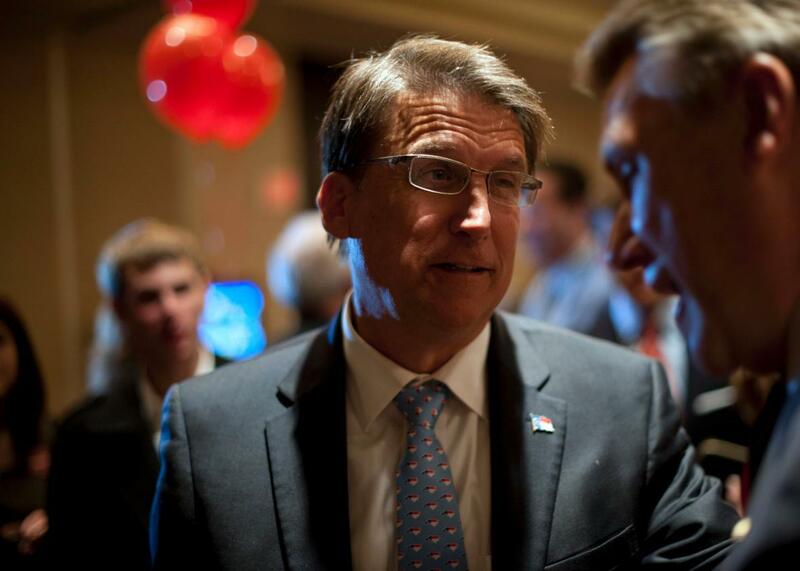 McCrory, however, may have one trick left to upend another of the state’s democratic outcomes. On Election Day, voters ousted a conservative justice on the state supreme court, replacing him with a progressive—and tipping the balance of the court to a 4–3 liberal majority. Legislative Republicans refuse to deny swirling rumors that they will pass a bill expanding the state supreme court to 9 members, allowing McCrory to appoint two new conservatives before leaving the governor’s mansion. Worrisomely, McCrory called a special legislative session on Friday, raising the very real possibility the legislature will quickly pass a court-packing bill in the coming weeks—overturning the decision of the voters and maintaining the court’s conservative majority. Whatever McCrory attempts on his way out the door, he will surely be remembered as the governor who was brought down by anti-LGBTQ legislation. In March, McCrory signed HB2, a vicious law that excluded transgender people from certain bathrooms and nullified local LGBTQ nondiscrimination ordinances. He campaigned on his support for HB2, while Cooper campaigned on the promise to repeal it. It seems McCrory backed the wrong horse: HB2 became deeply unpopular thanks in large part to a boycott that cost the state hundreds of millions of dollars, and his defense of the law dragged him down in the polls. The same North Carolina voters who supported Donald Trump and Republican Sen. Richard Burr kicked McCrory out of office. McCrory’s story should serve as a cautionary tale for all conservative politicians in purple states: Endorsing anti-LGBTQ legislation may literally cost you your job.